One of the greatest prayers of Apostle Paul for the Church is that our eyes of the spirit be opened. More often than not, our natural eyes stand against us. 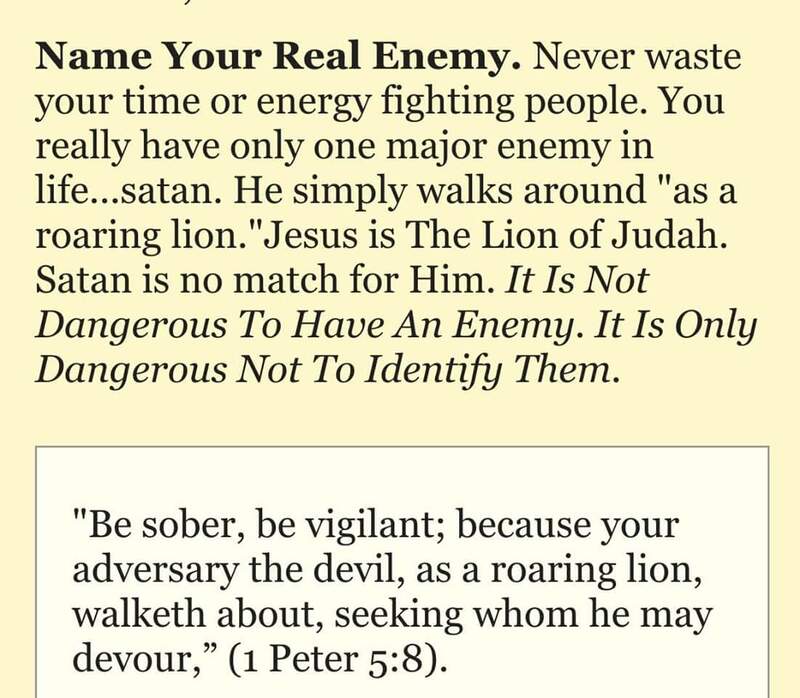 Most times they join up with the enemy, and are in fact the greatest weapon in the hand of the enemy against the Children of God. True, we see with the eyes, yet what they interpret is the greatest undoing of the human race! The eyes are the foundation or starting point of most vices: adultery, starts from the eyes! 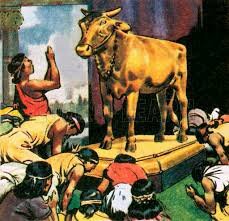 Idolatry starts from the eyes, envy, jealousy, hatred, greed, etc, find entry to the soul through the eyes. Even failure and defeat, are offsprings of sight! The major reason most Christians are weak spiritually is the lack of spiritual sight. We have become like the Israelites in the wilderness, who fell because of spiritual blindness. “And when the people saw that Moses delayed to come down out of the mount, the people gathered themselves together unto Aaron, and said unto him, Up, make us gods, which shall go before us; for as for this Moses, the man that brought us up out of the land of Egypt, we wot not what is become of him.” (Exodus 32:1). They took Moses as their god; now he could not be seen, neither did they know what could have befallen him, for him to delay this long. He had never delayed like this before, and this made them uncomfortable; they needed to see their god, to be assured their god was with them. They could not endure not seeing Moses, so “up Aaron, make us gods! ” What we can see!!! Journeying to our promised land through the wilderness called earth, many Christians cannot see God in their situations, their homes, jobs and businesses, and have not only “heaped pastors to themselves”, they have pressured them to make gods that they can see and follow: the god of success, “mammon” the god money, the god of technology, the god of cars, of fame and affluence. This has weakened Christians; we have a name, the form “Christians” but lack the power! Spiritual blindness weakened the “desert Church” by robbing her of the presence and power of God, and here we are, the Church of the New Testament and New Covenant, being robbed of the same! 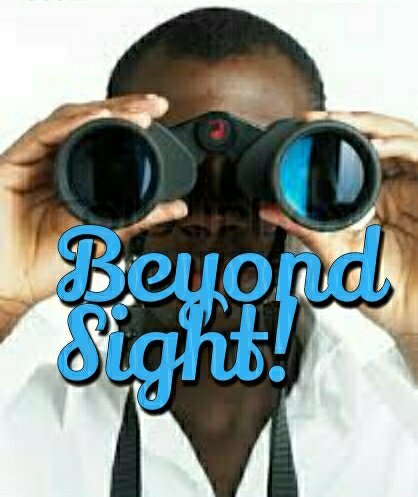 Moses endured trials and contradictions because he saw beyond the natural eyes; he saw beyond sight! “By faith he forsook Egypt, not fearing the wrath of the king: for he endured, as seeing him who is invisible.” (Hebrews 11:27). Most Christians buckle and fall at the slightest trial because they are not seeing beyond natural sight. When Moses noticed the nakedness of (departure of God’s glory from) the people, he went to the entrance of the camp and called “who is on the Lord’s side come to me.” The tribe of Levi went to him. So why did they go to join Moses? What put them “on the Lord’s side”, because at this time they had not been chosen to represent God before the people? They saw what others could not see, not even the first born sons that God had chosen to represent Him! What did they see? 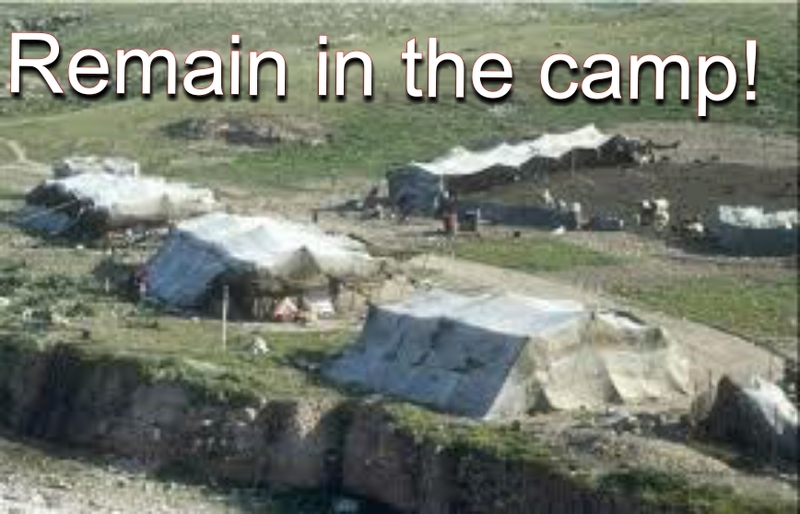 They saw and felt the presence of God in the camp, and also saw the consequence of walking against Him!! In the presence of our earthly fathers, and filled with the consciousness of their presence, we would not do things we know they will not approve. This knowledge of their presence makes us uncomfortable and sort of paralyzes us from getting involved in any vice, no matter how much we would have desired to. The Sons of Levi saw both the presence of God and the consequence of acting outside His approval. So they did not get invinvolved!!! We see Pastors and Ministers, but do we see the Lord Jesus in His house, and at every gathering of the Saints? Do we see Him in our homes, our jobs and every areas of our world? He is our greater than Moses, presently “on the mountain”, in heaven interceding for you and I. Can we see Him in the “Camp”, the Church? Spiritual coldness is a product of spiritual blindness. 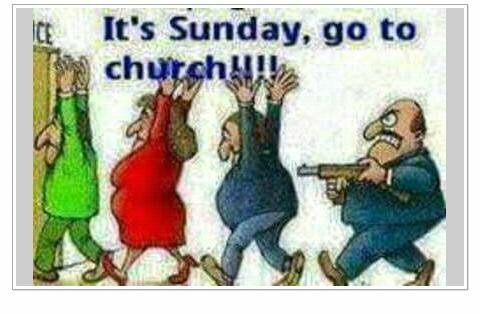 Christians are almost begged to go to Church! Why are we not able to stand and resist the enemy? Why are Christians so afraid: afraid of the devil, of lack, of failure, of sickness and all? If I know my Father is with me, I should not be afraid, knowing He would take care of me and all that concern me. That is Faith!! In other words, Faith cannot be in operation where spiritual blindness operates! “I tell you that he will avenge them speedily. Nevertheless when the Son of man cometh, shall he find faith on the earth? ” (Luke 18:8). If faith is lacking, it is due to the absence of spiritual sight. Because faith comes only by perceiving through the Word of God. “So then faith cometh by hearing, and hearing by the word of God.” (Romans 10:17). Jesus, our Lord, Master and Example, endured because He saw! “Looking unto Jesus the author and finisher of our faith; who for the joy that was set before him endured the cross, despising the shame, and is set down at the right hand of the throne of God.” (Hebrews 12:2). 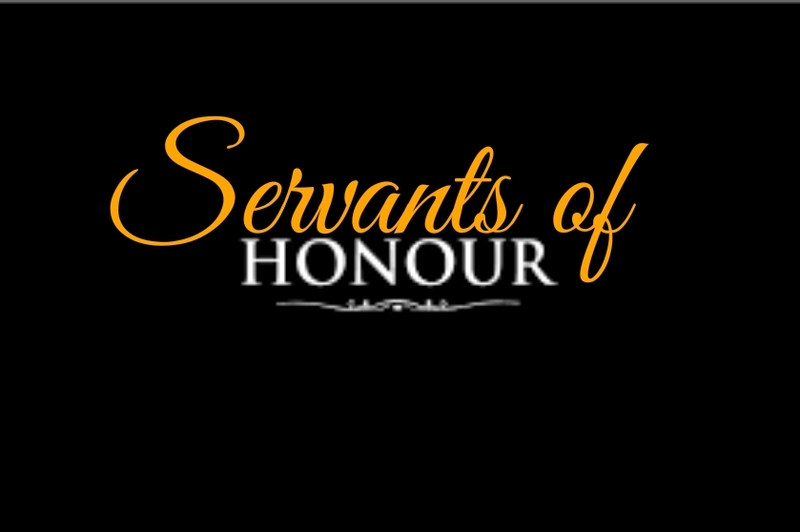 No servant can be greater than the master. If our Lord endured and triumphed by what He saw, we need to see God’s way. This does not come by prayer. Prayer is done by revelation; after you have seen. 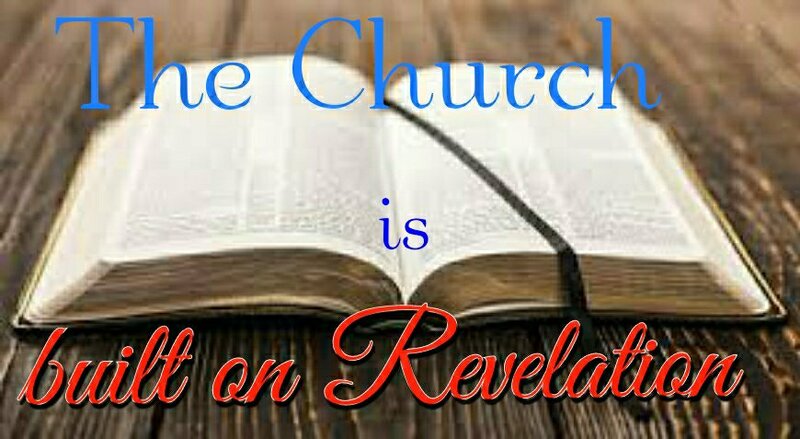 And revelation is spiritual sight. A deep hunger and thirst for the Truth is the eye salve that opens the eyes. God will pour water on the ground that is parched and thirsty. 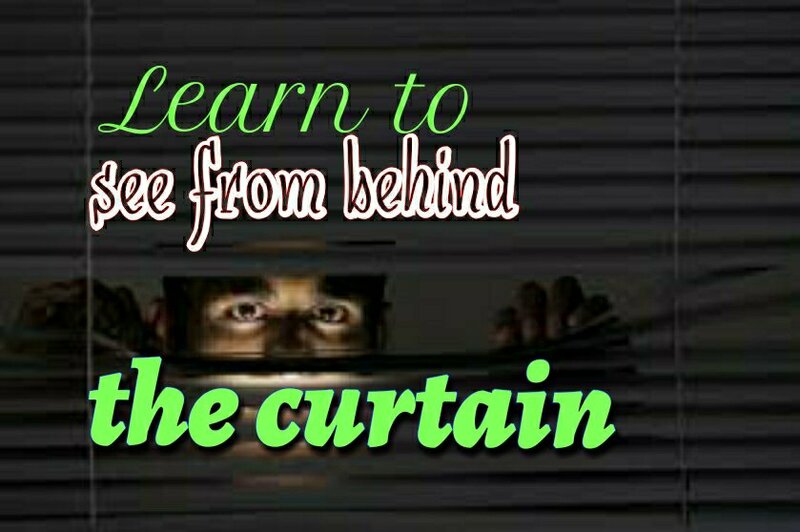 When you begin to be dissatisfied with lies and seek after Truth, genuinely; not for what you can gain for yourself, the Holy Spirit shall open your eyes. A regenerated mind overflows with the Word of God. A regenerated mind is wholly and completely offered as sacrifice to God; he does not live for himself but for the Lord, acknowledging that the life he lives is not his but Christ that lives in him. A regenerated mind thrives on the Word of God and upon it does he meditate day and night. When he opens his mouth, nothing else but the Word of God overflows from it. 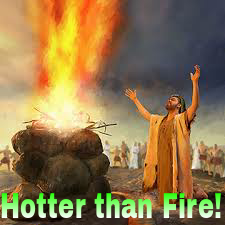 “My heart was hot within me, while I was musing the fire burned: then I spoke with my tongue.” (Psalms 39:3). I have been much of a talkative, the Prophet seemed to say, I spoke too soon and much too much; only for my words to come out foolish and out of place. I have learnt my lesson and will be more careful next time to “muse”, to meditate, consider, ponder, over what I hear, and depend on God for the answer I will give, as His spokesman. He considers his speech and the possible consequences. 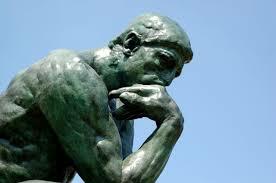 The process of “musing“, pondering, is the process of waiting to hear His word of instruction; His word of direction, which comes like fire. “Is not my word like a fire? saith the LORD?” – Jeremiah 23:29a. While musing; waiting for instruction, “the fire burned“, signifying the entrance of His words, bringing light and direction. “The entrance of thy words giveth light; it giveth understanding to the simple.” – Psalms 119:130. This word shines a light on our path through the darkness, and uncertain terrain of this world, showing us where to follow, what to do. “…… then I spoke with my tongue.” (Psalms 39:3). The “speaking” comes after the word of instruction or direction has been given. That was the path Elijah walked. His instruction to fill the trench with water (1 Kings 18:33) was not his. It was born out of divine direction. He did not pray his mind or will. As a vessel empty of self, all that poured from him on Mount Carmel were sourced from the Holy Spirit. “Likewise the Spirit also helpeth our infirmities: for we know not what we should pray for as we ought: but the Spirit itself maketh intercession for us with groanings which cannot be uttered.” (Romans 8:26). Elijah did not depend on his ability; he depended on the leading of the Holy Spirit. We know not WHAT to pray as we OUGHT (should). The WHAT and the HOW of prayer are not ours. 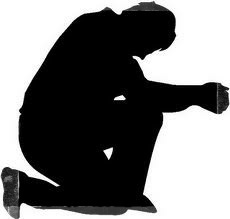 Many parade themselves as “prayer warriors”, “prayer giants” as though the ability and direction of prayer is theirs. A regenerated mind humbles himself before God, and even in prayer he does not lean on his own understanding. When we forget about ourselves in His presence, His fire will fall; making us speak. The Water represents the Holy Spirit and His peace that surrounds our heart, like the mountains surround Jerusalem. Let us learn to depend on Him; He is our guide, our comforter, our shield and buckler. He is our Rock of defence and our Rock of offence. 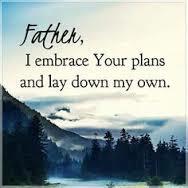 He also will bring us to the fullness of God’s plan for us individually. Let us draw closer to Him for He is the friend that sticks closer than a brother. And , let us obey Him, no matter how “wise” or “foolish” his instruction may be. The bull is a massive and powerful animal. Its strength is awesome. This was the animal that was killed, cut to various pieces and sacrificed before fire could come from heaven. The human mind is an enormously powerful thing that can be “dissected” into small pieces: emotion, intellect, imagination, memory and will. All these combined makes the mind the seat of knowledge in man. Knowledge we know, is powerful. This power of knowledge was the means of man’s fall. The power of the mind was latent in man, until the serpent stirred it awake. “For God doth know, that in the day ye eat of it, then your eyes shall be opened: and ye shall be as gods, knowing good and evil.” – Genesis 3:5. Were they blind? What eyes did the serpent refer to? Or did God give them eyes but forgot to open it? The power of the mind was stirred up! That is the major instrument of the Cult and its mild form, psychology! Mind over matter! 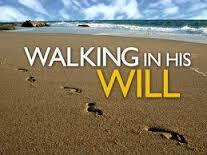 Man’s walk with God did not require it in the direction of its use today. The mind has been corrupted, stirred awake in the direction God did not lead it. At creation, it had the potential, but not an instrument of dual knowledge: good and evil. When God gave the command to man not to eat, (consume, use, digest, follow) the fruit (product, analysis, power, conclusion, result) of the tree of the knowledge of good and evil which is in the midst of the garden of Eden, it included physically, the use of the mind which has the potential for the knowledge of good and evil, and is the door way between the spirit and the natural realms; especially as Man is also a garden! “Dear lover and friend, you’re a secret garden, a private and pure fountain.” – Song of Solomon 4:12 MSG. “A garden enclosed and barred is my sister, my [promised] bride-a spring shut up, a fountain sealed.” – Song of Solomon 4:12 AMP. “A garden inclosed is my sister, my spouse; a spring shut up, a fountain sealed.” – Song of Solomon 4:12 KJV. A man’s world revolves around his mind. The mind, like the tree of the knowledge of good and evil is at the center of the garden called “Man”! It is like an antenna, it can receive signals from many stations and frequencies. Before the fall of Adam, the mind of man was programmed to receive instructions from only one source: God. When Adam told God he was naked, God queried him, “who told thee that thou wast naked?” (Genesis 3:11). Instructions of what to do and how, where to go and how, where to live and how, were to be from one source: God. “I know, GOD, that mere mortals can’t run their own lives, That men and women don’t have what it takes to take charge of life.” – Jeremiah 10:23 MSG. “O Lord [pleads Jeremiah in the name of the people], I know that [the determination of] the way of a man is not in himself; it is not in man [even in a strong man or in a man at his best] to direct his [own] steps.” – Jeremiah 10:23 AMP. “O LORD, I know that the way of man is not in himself: it is not in man that walketh to direct his steps.” – Jeremiah 10:23 KJV. Man was not created to direct his ways. Even in the naming of God’s creations God had an influence, He was there! “The steps of a good man are ordered by the LORD: and he delighteth in his way.” – Psalms 37:23. God in His Sovereignty, should originate every step of man. “For from him, and by him, and to him are ALL things: to whom be glory for ever. Amen.” – Romans 11:36. (WEBSTER) Emphasis added. Man was not to depend on the power of his mind! 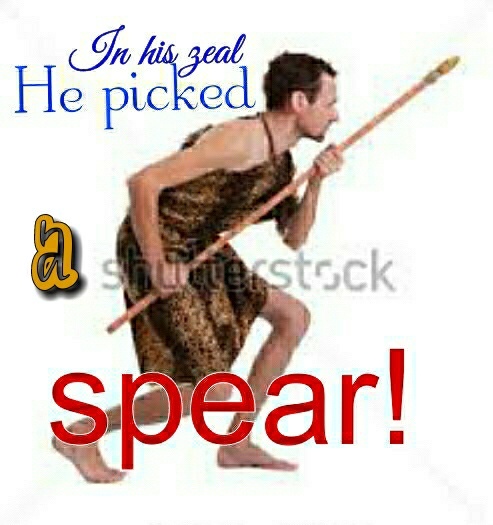 That makes him independent of God. Adam became independent of God, the last Adam, our example Jesus Christ, did not do anything the Father was not doing! When the sons of men under Nimrod, employed the power of the mind and built the tower of Babel, God scattered their plan. That is the fate or destiny of whatever is not born of God. (visit https://jimout2002a.wordpress.com/danger/ for more on this). 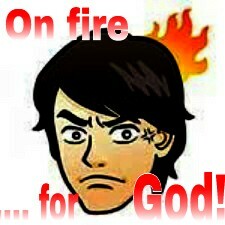 Whatever God did not originate will fizzle out and not stand! Elijah, demonstrating a total surrender to God, cut the bullock to pieces, proving again and again that man should not put any trust in the mind; the way of the flesh. “For we are the circumcision, who worship God in the spirit, and rejoice in Christ Jesus, and have no confidence in the flesh.” – Philippians 3:3. No confidence in the flesh! The power of the mind can produce; yes it can, nevertheless it does not stand, it does not endure! Unfortunately, teachings that empower the use of the mind has taken center stage; it has taken over at the altar and pulpit. “What the human mind can conceive it can achieve with a positive mental attitude”! PMA does not point us to God, but to self! And it works irrespective of our religious beliefs. You do not have to be a child of God before it will work for you! Be you a Christian, a Muslim, a Hindu, a Buddhist, even an Atheist; it will work for you! This was the same message Nimrod preached to the people; they believed in themselves, trusted in themselves and achieved “without” God (Genesis 11). The power of the mind makes us independent of God! Elijah laid the dismembered animal on the wood, which was on the altar. Our mind, home to emotion, intellect, imagination, memory and will should be brought under and in subjection to the Word of God. “Casting down imaginations, and every high thing that exalteth itself against the knowledge of God, and bringing into captivity every thought to the obedience of Christ.” – 2 Corinthians 10:5. We are not to entertain, retain or encourage emotions, thoughts or imaginations that can make us independent of God. Cleanse each member of your mind with the Word of God! This mental exercise is to help enthrone the Word of God over the mind. Stop struggling in your mind against the Will of God. This should be constantly practiced. “Keep putting into practice all you learned from me and heard from me and saw me doing, and the God of peace will be with you.” – Philippians 4:9 NLT. This is your “reasonable service”, sacrificing your mind to God by “practice”, constantly stripping it of the power to rebel against God. In other words, your mind should be regenerated with the Word of God, and made to rule and have dominion over your flesh, your body! This is how we “glory in infirmities”, because no matter what we go through, the renewed mind would always rejoice in the Lord. Hear God’s conclussion on this. Bringing Fire from heaven has been done by the Lord Jesus Christ. However, being turned into fire for God is difficult because of the cares of this world that has invaded the hearts of men. So, we have to constantly repair the altar of the Lord by examining ourselves to ensure we are still in the Faith. 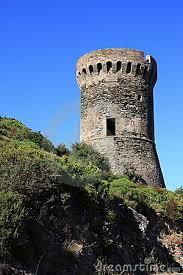 “Examine yourselves, whether ye are in the faith; prove your own selves. Know ye not your own selves, that Jesus Christ is in you, except ye are reprobates?” – 2 Corinthians 13:5. We also need to “dig a trench” round our heart, the altar of the Lord in the Temple called “Man“, guarding the heart with all diligence. All these were done by Elijah, not just to bring fire from heaven but to also bring a revival in Israel; the people went on their knees, acknowledging the Lord is God. “And when all the people saw it, they fell on their faces: and they said, The LORD, he is the God; the LORD, he is the God.” – 1 Kings 18:39. The third cost of bringing fire from heaven was the next thing he, Elijah did, PUT THE WOOD IN ORDER. Wood hates fire and runs from it! I remember when I lived with my grandmother in my secondary school days. We cooked with fire wood. We would be around the fire not only to keep an eye on what was cooking but also to keep pushing the wood back into the fire. Left unattended, the fire would go out. 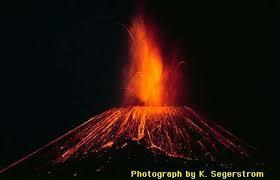 The human body, like wood, is stubborn and resists the fire of purification. The fire of God will not fall when your flesh is in the way. You have to keep putting it “in order”, pushing it back as sacrifice, into the fire of revival. Paul acknowledged that there is nothing good in the flesh. The human body is like an animal; a stubborn animal. When brought as a sacrifice, the animal must be bound to prevent it running away. “God is the LORD, who hath shown us light: bind the sacrifice with cords, even to the horns of the altar.” – Psalms 118:27. If the animal is not bound to the altar, it would run off! Paul said “mortify“, which means to subdue the body, conquer it and not let it have its wants and desires; restrain it, humiliate it and do not let it have its way. “For if ye live according to the flesh, ye shall die: but if ye through the Spirit mortify the deeds of the body, ye shall live.” – Romans 8:13. Your body should be presented as a sacrifice to the Lord. “I beseech you therefore, brethren, by the mercies of God, that ye present your bodies a living sacrifice, holy, acceptable to God, which is your reasonable service.” – Romans 12:1. Your flesh has to be bound! It wants to fornicate and indulge in adultery, restrain it! Drag it to church; force it out of bed in the morning even when it suggest continued sleep! Shun its suggestions and make it do the Will of God! Put the wood in order! Part of putting the wood in order is in praying for your enemy. “Bless them who persecute you; bless, and curse not.” – Romans 12:14. Often times we “feel” like praying against them. Our flesh reminds us of what they did against us, how painful it was, the shame we went through and we “feel” like cursing them. Whereas the Word of the Lord says pray FOR, NOT AGAINST, them! “But I say to you, Love your enemies, bless them that curse you, do good to them that hate you, and pray for them who despitefully use you, and persecute you;” Matthew 5:44. It can be painful! Yes. However this is what being a disciple is all about! We do not act what we feel, but obey the Master, even in much pain, agony and tears. The body must be shunned and not followed! Beloved, the flesh is an enemy to the fire of Revival. If there is coldness, it is from the body! It resist everything God. As disciples, we are to deny ourselves, even our comfort, a thing the body indulges in. “Then Jesus said to His disciples, If anyone desires to be My disciple, let him deny himself [disregard, lose sight of, and forget himself and his own interests] and take up his cross and follow Me [ cleave steadfastly to Me, conform wholly to My example in living and, if need be, in dying, also].” – Matthew 16:24. AMP. May we find grace to put the body in order. 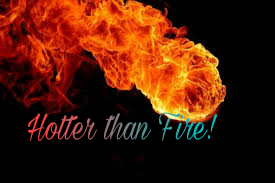 The fire of God does not come cheap and will cost you! It comes with a high price and as in the parable of the wise and foolish virgins, is not transferable. You, and you alone are responsible for the presence or absence of the fire of God in your life! The first thing Elijah did was build an altar of twelve stones. The nation of Israel at this time was divided into two kingdoms; Judah with two tribes and Israel with ten tribes. Elijah repaired the breach by building an altar of twelve stones. An altar is the place of sacrifice within a temple. “What, know ye not that your body is the temple of the Holy Spirit which is in you, which ye have from God, and ye are not your own?” – 1 Corinthians 6:19. Every temple has an altar of sacrifice. 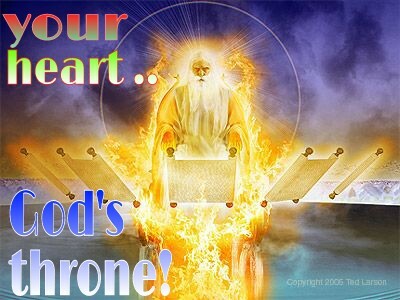 Your heart is the altar of the Lord Jesus; that is where His throne is, where He dwells. “That Christ may dwell in your hearts by faith; that ye, being rooted and grounded in love.” – Ephesians 3:17. A divided heart can never produce the fire of God! Like Elijah, you need to repair the altar of the Lord; your heart. Uproot the cares of this world and the deceitfulness of riches (Matthew 13) that has invaded the hearts of men, becoming the image of jealousy and squeezing the presence of God from our life rendering us unproductive spiritually. “Then said he to me, Son of man, lift up thy eyes now the way towards the north. So I lifted up my eyes the way towards the north, and behold northward at the gate of the altar this image of jealousy in the entry.” – Ezekiel 8:5. The North Gate was the most influential gate; of both the City and Temple. “And the gates of the city shall be after the names of the tribes of Israel: three gates northward; one gate of Reuben, one gate of Judah, one gate of Levi.” – Ezekiel 48:31. Dedicated to, reserved for, and given to three tribes: Reuben, the first born son of Jacob; Judah, the messianic tribe and Levi, the priestly tribe. All three tribes prefigure our Lord Jesus Christ. He should have the preeminence and rule in our heart; but behold, some other thing is there represented by the cares of this world and the deceitfulless of riches! “For thou hast said in thy heart, I will ascend into heaven, I will exalt my throne above the stars of God: I will sit also upon the mount of the congregation, in the sides of the north:” – Isaiah 14:13. The North, reserved for the King of kings, now has an intruder! “When therefore ye shall see the abomination of desolation spoken of by Daniel the prophet, stand in the holy place, (whoever readeth, let him understand,)” – Matthew 24:15. We have to deal with the intruder! Uproot his representatives else fire will not come! “This people draw nigh to me with their mouth, and honour me with their lips; but their heart is far from me.” – Matthew 15:8. We need to repair the altar of the Lord, by “Casting down imaginations, and every high thing that exalteth itself against the knowledge of God, and bringing into captivity every thought to the obedience of Christ;” – 2 Corinthians 10:5. Beloved, in this dispensation, the fire of God is not something physical. His servants are fire! He will make you fire if you do not waste your precious and expensive time worrying over what you have or do not have. They are not important! The devil wants you to see them as important and so steals, kills and destroys your God-given joy and peace, and keeps you cold! Seek, more than anything, the Way and Will of God (His Kingdom), and all your need will be met!